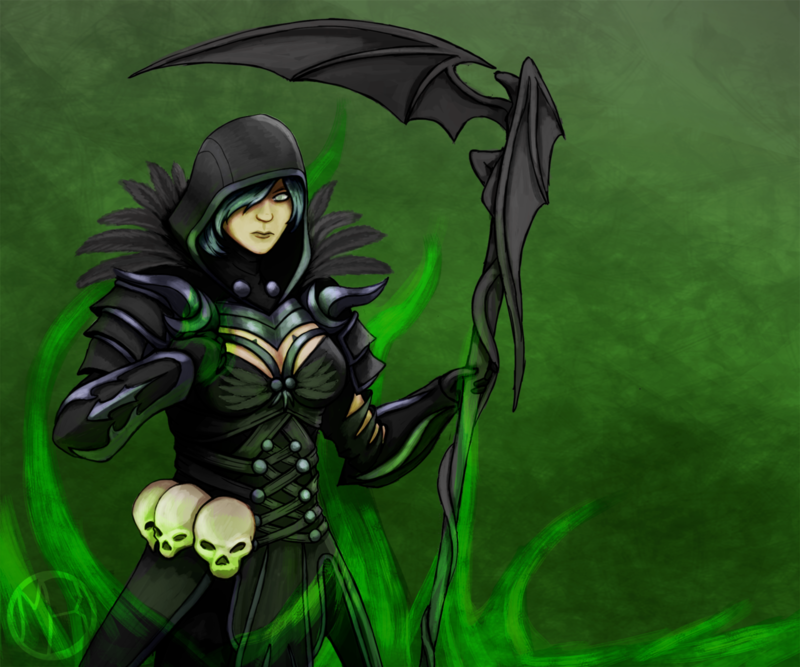 Keshanflameseeker produced this terrific image of Raine Mureaux, a human necromancer. 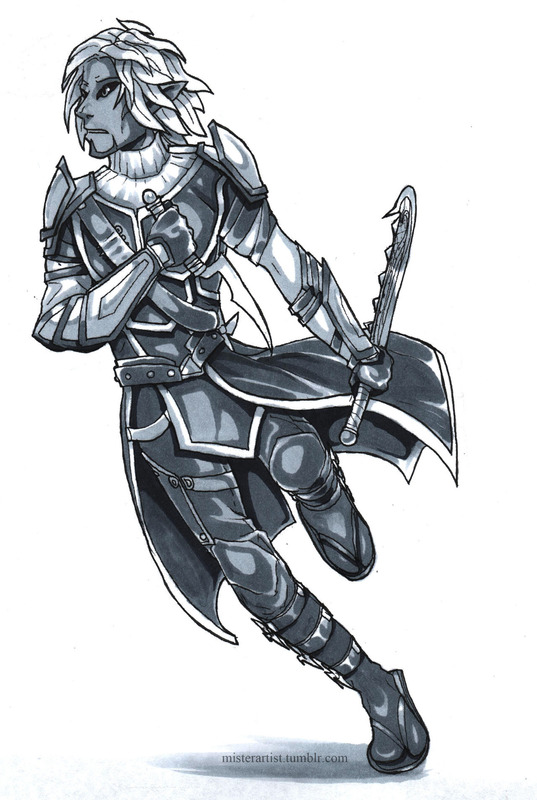 This sylvari, named Bhindrin, was drawn by misterartist as a commission for a fellow player. 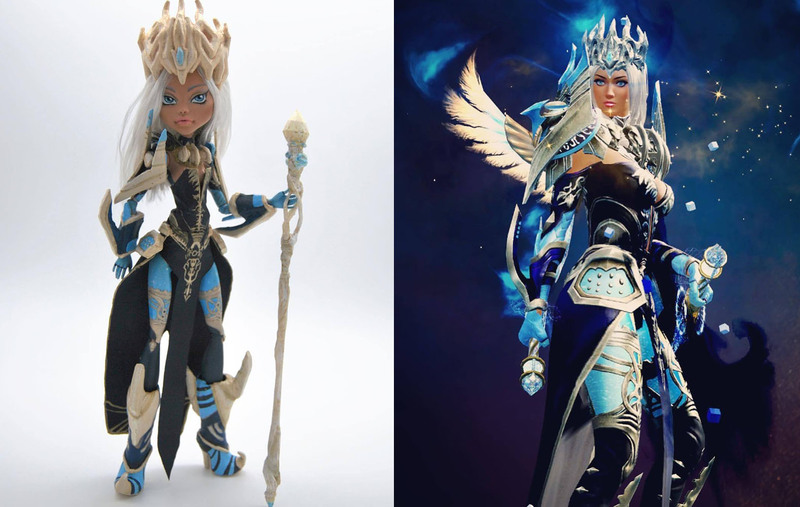 What an amazing job artist bremychan did in customizing a 3D representation of their elementalist, Bremy—crown, Bifrost, and all! 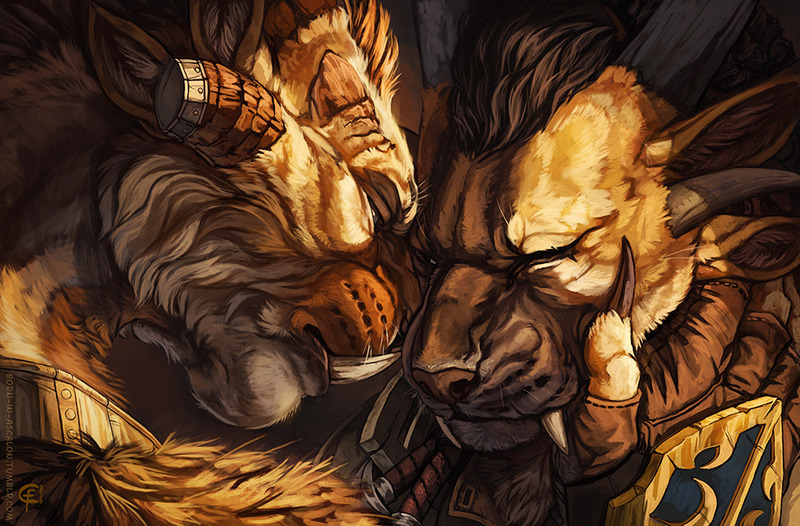 Arenanet Creative Partner, born-in-ascalon, offered this poignant image of two charr. Visit the post on Tumblr to read some dialogue the artist wrote to accompany the piece. 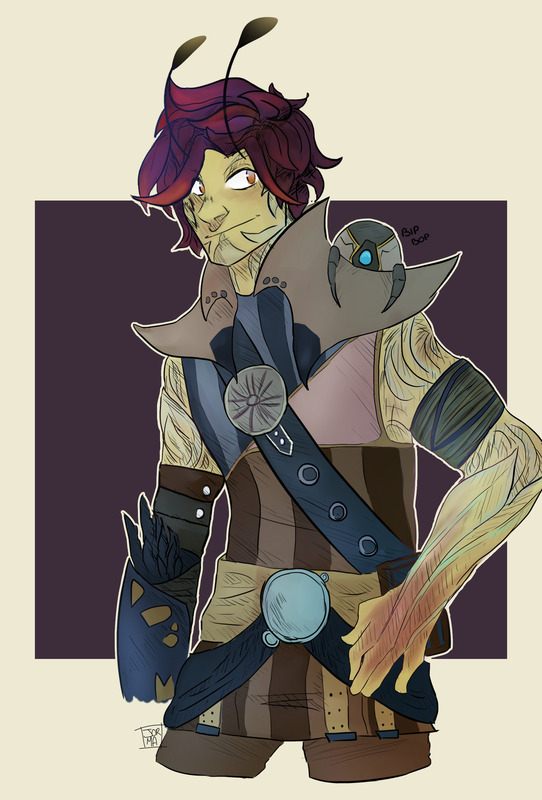 Artist jorma-dae remade their sylvari engineer, now known as Awen. The little robot on his shoulder is his repaired and modified fire turret, Isa. If you’re an artist, crafter, or maker of Guild Wars 2–related creations of any kind, please consider sharing your work on the official Guild Wars 2 Tumblr (easy submission guidelines here) or in our official Community Creations subforum. Our next Community Showcase Live livestream will air in October, and you can catch up on our previous episodes here. If you’re an artist, share your Halloween creations soon on our Tumblr page or our official forums, and then join us for our Halloween-themed show. Watch this space, our social media channels, and our official forums for the date of the show, or look for a recording afterwards on our YouTube channel.